Greetings from the Land of Enchantment! Professional meetings and bird migrations had both Jeremy and myself heading south Sunday morning to the Great Adobe Theme Park, also known as Santa Fe. Jeremy is a native son of New Mexico – it’s a little like coming home for him. 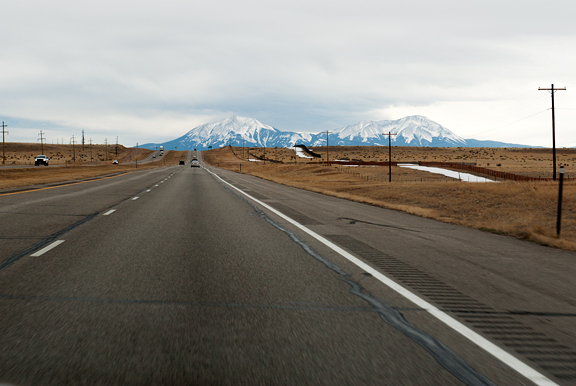 We love to road trip together into wide open spaces with few people around. It’s the same reason we enjoy hiking and backpacking – wide open spaces with few people around. 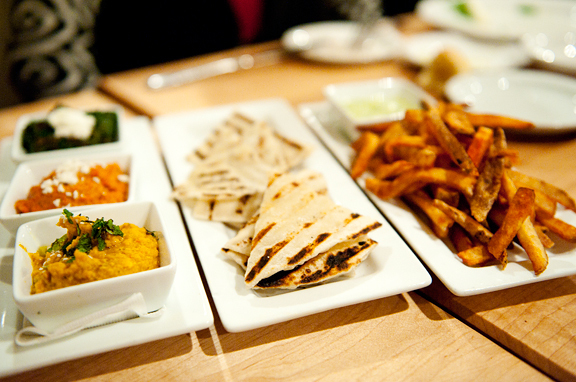 While Jeremy had a reception to attend, I met up with my aunt and uncle to try out some tapas downtown. Santa Fe is to them what Boulder is to us. They don’t live in Santa Fe, but they enjoy the fantastic restaurant scene, the arts, the culture, the town. I love knowing a local who cuts through the heavy marketing and takes you right to the good stuff! My aunt rattled off a whole list of good eats in Santa Fe that she emailed me after dinner. I in turn forwarded this list to Bridget who happens to be coming up through Santa Fe just around the time I’m leaving, and leaving Santa Fe just around the time I’m coming back. We are sufficiently bummed to be playing this game of interstate-tag-without-the-tag-part, but we’re practically neighbors except for that whole 11-hour drive issue. It goes without saying that whenever Jeremy and I cross the border into New Mexico, there will be the Ceremonial Eating of the New Mexican Food at some point. You can get green chile on ANYTHING around here. There are certain foods you associate with a place or with a state. Where I’m from, it’s Virginia ham (aka country ham). To the south of my home state, I really like North Carolina barbecue (vinegar-, not mustard-based). And to the north: Maryland crabcakes. My favorite way to enjoy Chesapeake Bay blue crab is to dump a big pile of steamed crabs in the middle of a newspaper-lined table surrounded by friends and family ready to dig in. That’s a vivid and fond memory of my childhood summers after having caught the crabs with my sister on the docks. Grandma and Mom would take turns picking out crabmeat for me to eat until I was skilled enough to do it myself. Then one day, I had a crabcake. In a restaurant. Eating crab without having to peel the crab?! I had always read that making your own crabcakes is easy to do, but I never did it until last week. It’s true. Crabcakes are ridiculously easy to make from scratch. 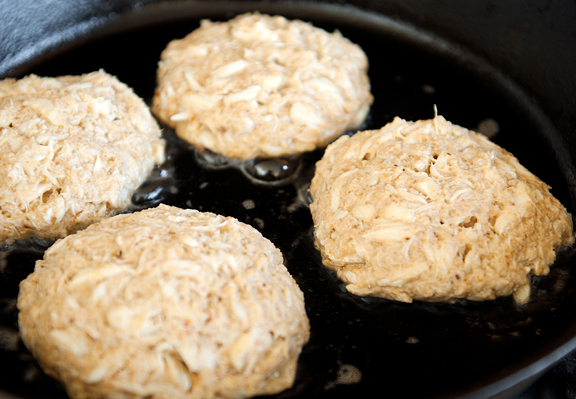 And you don’t have to make them into large crabcake patties (crabby patties – I know there are SpongeBob fans out there!). These are perfectly good as tiny little crabcake appetizers. You just have to form smaller bite-size patties or balls. Party food. You are more than welcome to deep fry these crabcakes. I’m sure that makes them even more irresistible than they already are, but I found the pan-fried versions to be a nice balance of crunchy and tender. They also make awesome leftovers (we’re big on leftovers in the House of Butter). 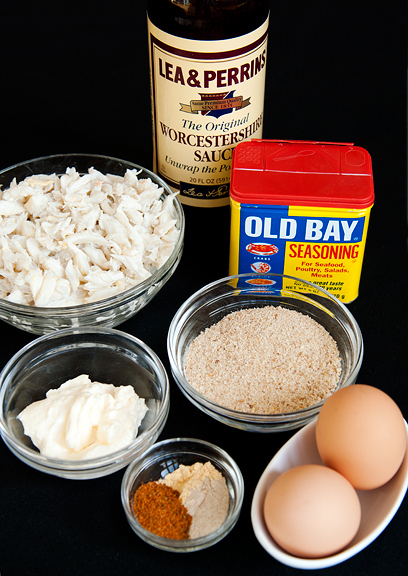 Crabcakes are ubiquitous in Virginia, but I’ve always known them as Maryland crabcakes. I had a geography teacher in eighth grade from Maryland who told us that people in Maryland catch crabs with bull lips and people in Virginia (the “other” side of the Chesapeake according to Mr. Spedden) catch crabs with chicken necks. You have to say “bull lips” and “chicken necks” with that southern accent. And yeah, I used chicken necks. 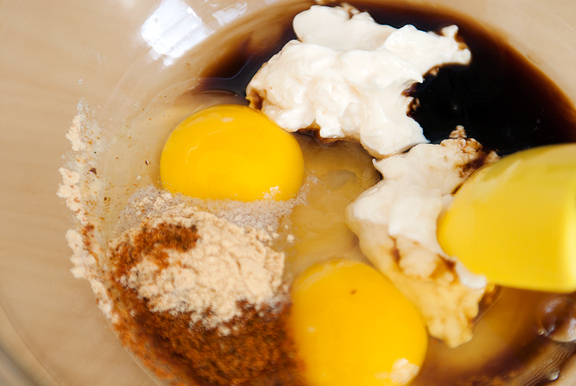 Mix the eggs, mayonnaise, Old Bay seasoning, white pepper, Worcestershire sauce, and mustard together. 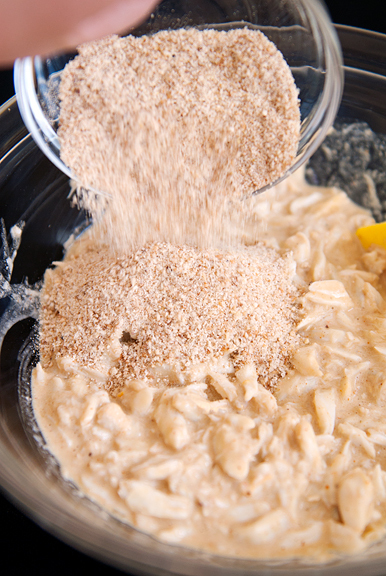 Add the crab meat and mix well. Stir in the bread crumbs. Shape into 6 patties. Heat 2-3 tablespoons of vegetable oil in a frying pan over medium high heat. 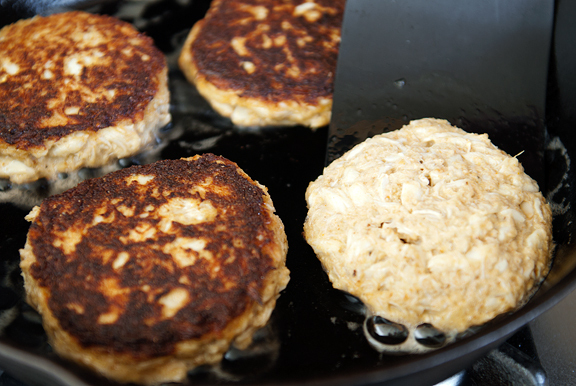 Place the patties into the pan and fry until the bottoms are browned (about 4-5 minutes). Gently flip the cakes and let the other sides brown another 4-5 minutes or until cooked through. Serve hot. Makes 6. Those look delicious and I have never made crabcakes myself either. Maybe I should give it a go too! Beautiful photographs, and those crabcakes are making me crave one or two. Jenny, I can say that your take on our crabcake looks better than what you get in many of the restaurants here. And yes, a pan fried crabcake beat a broiled one any day. Beautiful. 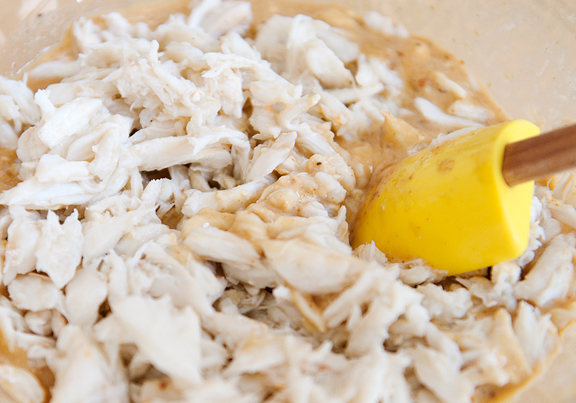 Do you have a favorite lump crab that you buy? I like any kind of crabcake but yours looks fantastic. 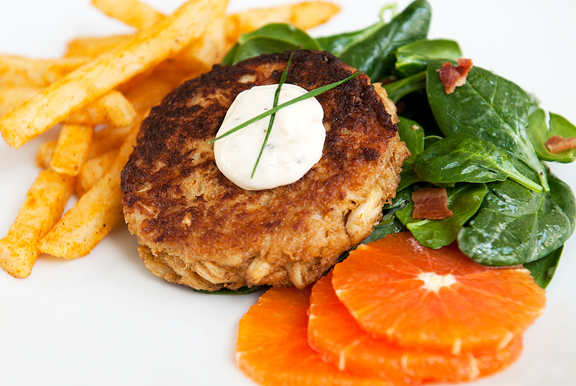 I will go out to get some crab meat to make my own crabcake tomorrow. The crab meat is on special this week. I am also looking for some she crab soup recipes for lunch too. Anyone has a recipe fo that? Love to hear from folks. “Bull Lee-ups” or “Chick-N Nex”. Good ol’ Gary Spedden also gave us extra credit on quizzes if we knew Dan Fogelberg lyrics (or was it Gordon Lightfoot?). I do so loooove a good crabcake (also known as crabby patties to the kiddos in mi casa) especially served with a nice spicy Old Bay Bloody Mary but Homebrew Hubs detests mayo~ I know, Southern sacriledge, right? Any ideas for good substitutions (silk tofu? egg & EVOO? mild good quality mustard?) that will impart proper texture without altering flavor too much? Lucky you, to be in my favorite place! If you see Uncle Bill, say hello from me. And enjoy all the green chile! 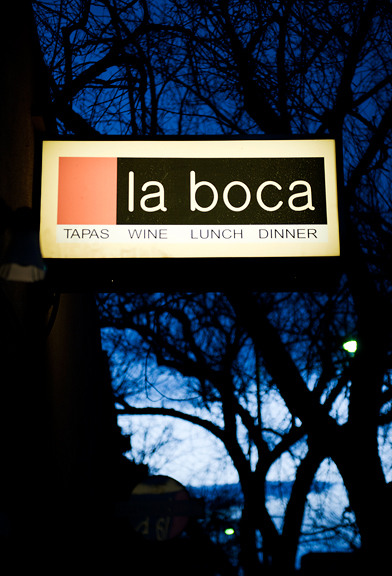 Well, I might have a whole list of restaurant options, but I’ve only seen pictures from one of those, so now I want to go to La Boca. 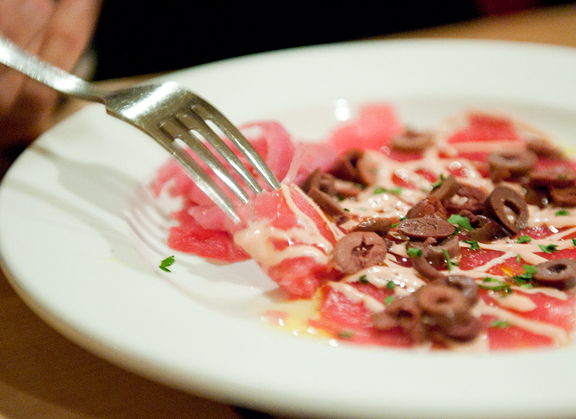 Mostly I just want the tuna carpaccio. But I am determined to get (ridiculously overpriced) sushi in Los Alamos, so that craving at least will get fulfilled. Ooh, crab cakes, I love them. 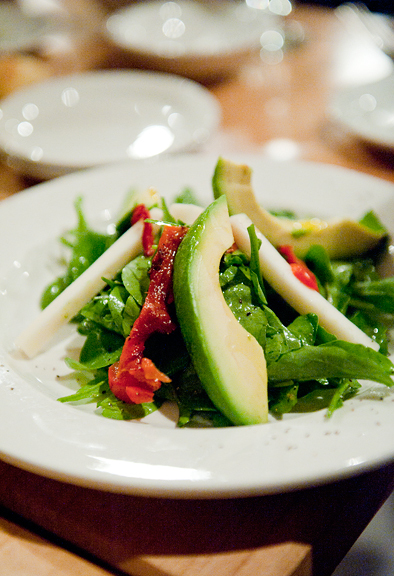 And you know, I bet they’d be great with green chile – like most things are. I made crab cakes for the first time this weekend and they were delicious! We had a fest of crab cakes, raw Chesapeake Bay oysters, and lobsters that my best friend brought down from Boston. Yum. holy crap. I just signed up for food & light.. I only knew of it for 30 minutes. But it had my name all over it. The event comes with high praise from my local friend Marla/familyfresh. Going through Santa Fe myself in May. Would love the list of wonderful eateries. There’s a place out in the “real people” part of town that serves the best fish tacos I’ve ever tasted. Just incredible. Love a good crabcake. Too many of them have way too much filler and not enough crab. I happen to have some crab in the fridge and will whip up a batch of these. They look so good! Chic-n nex’s for me too home girl! I LOVE crab cakes and in fact, I am a little fanatic about them, like the scene from BIG, where if it’s not good, I just want to scrape all traces of it from my mouth! I’m in NOVA, and my families from Eastern NC, so you and I are on same wave length, Vinegar-based BBQ and a good Chesapeake crab cake, anytime, anywhere. Thanks for another recipe, I can’t wait to try this one (I’ve got a collection of crab cake recipes, for real…) and for the link to the newspaper! I can’t wait to browse their recipes too! I ADORE crab cakes! Will definitely try your recipe. I also recommend making them with Panko breadcrumbs rather than the standard guys. The former gives it an amazing crunchiness while keeping it light. YUM. With crab cakes on any menu I already know what I’m eating that night. These look amazing! YUM!! My mouth is watering! 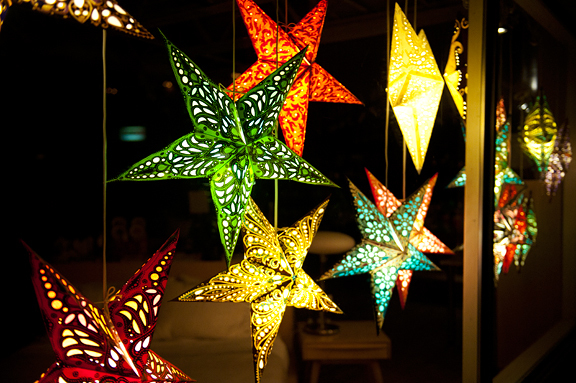 I’ll be making these VERY soon! thank you very much! I made this recipe for lunch yesterday and they were delicious. I made smaller patties, and the recipe yielded about 20. I cooked half, and put the rest in the freezer. They are just in time for lent! Thanks again! I’ll take a side of crab cakes with my Hatch. Oh yay! A blog about crab cakes! What a coincidence that I was considering making them just the other day (still doing research for inspiration before I take it to the table). I’d imagine these would delectable with a crisp apple salad too. 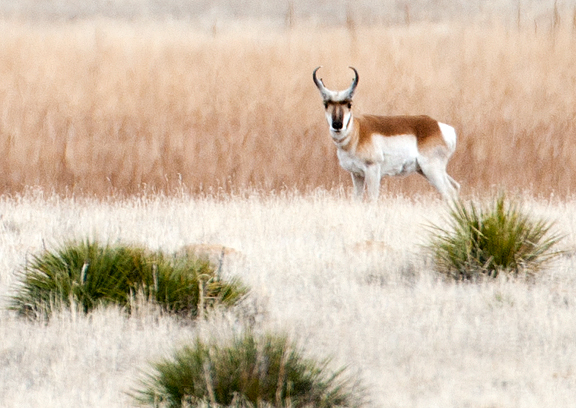 Great photos of New Mexico and Santa Fe! It is just too bad Mr. E is not a crab eater. Not gonna make this just for myself as there is no fun if we don’t share it together. Bing Chou – I don’t. I just look for good quality lumpy crab meat (like not shredded to bits). I bought a pound at Costco and the crab was really very good. Holly – I think it was Fogelberg ;) Spedden was awesome. So even if you cook the crabcakes, he can tell there is mayo? Cause it isn’t very much… Well, if you really have to omit the mayo, then I’d suggest an egg and perhaps some oil (which is essentially what mayo is minus vinegar or something, right?). Maybe plain yogurt? Although that would alter the taste a bit. Like I said, it’s not much (1/4 cup) so perhaps a sub would work? Judy – we didn’t get to ABQ on this trip, but next time I see him I’ll tell him you said hi! Nan – I’ll email you the list. Regina – that’s the BEST way to eat them, for reals. Shut Up and Cook – oooh, nice suggestion. I hadn’t thought of that!! thanks. Just made these tonight for dinner, they were yummy!! Thank you! !